THE COCA-COLA MUSEUM at the company’s headquarters in Atlanta, Georgia, USA, did not show one major event in the history of the world’s biggest beverage company – or I missed it in multiple visits to it over the years. 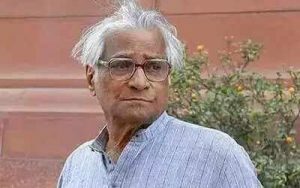 George Fernandes, the Socialist leader who passed away today, Jan.29, 2019 at the age of 88, had made the Coca-Cola shut down its operations in India in 1977 when he was the Industries Minister in a coalition government at the Centre. The dynamic trade unionist, who had won an election from jail, was living a vegetable existence for the last few years due to Alzheimer’s. He was so much out of public eye (with our media busy reporting only the diaper changes of Taimur Ali Khan) that many may not be aware that he was still alive. As I had mentioned in several posts on this blog on the deaths of eminent persons, I refrain from writing about their lives already published and stick to personal experiences about them. It is known that he was one of the main accused in the Baroda Dynamite Case hoisted on him by Indira Gandhi while imposing the Emergency, along with a journalist friend Kotamraju Vikram Rao and CGK Reddy, General Manager of The Hindu daily, as they were all followers of Dr. Ram Manohar Lohia, but not many would know that charged along with them was Chandru (as we used to call him), manager of The Hindu’s bureau office at IENS building on Rafi Marg in New Delhi. 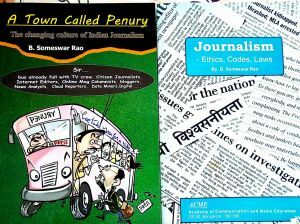 Chandru and dynamite? Many who knew the bachelor and affable retired journalist, always helping others, would have protested if told that Chandru had hurt a fly. His ‘offence’ was that he had sheltered Reddy in his house when the latter went ‘underground’. With the legal system as it was during the Emergency, all the accused would have been convicted and some, mainly George and Vikram, may have been even hanged – had Indira Gandhi not believed the sycophant intelligence agencies to lift the Emergency, only to lose the elections. What brought George Fernandes into national prominence, however, was his becoming a ‘giant killer’ by defeating S.K. Patil in the Lok Sabha election of 1969 from South Bombay. Patil, a Union Minister, was known to be one of the strongest candidates with big money power and had an iron grip over Bombay Pradesh Congress Committee. As one of those involved in the Patil Vs Fernandes campaign in Bombay, I remember how ‘Netaji’ Ladli Mohan Nigam of MP and sometimes Madhu Limaye of Bihar used to plan what Fernandes was to speak the next day. An excellent speaker in English, Hindi, and Marathi, Fernandes executed the script brilliantly. The strategy was planned at the meetings and Fernandes was just the performer. With an eye on the large Muslim vote of Bhendi Bazar area in the constituency, Sadoba Patil one day issued a statement supporting the choice of a Muslim as the next the President of India. The next day Fernandes addressed a public meeting in Bhendi Bazar. Welcoming the choice, Fernandes spoke of how Ahmed would live in the Rashtrapati Bhavan, with its dozens of rooms and famous halls with dazzling decorations, while ‘Abdul Rehman of Bhendi Bazar’, (a fictitious character) lived in a 10X10 room with his large family and get up at 3 a.m. as drinking water taps opened only then for one hour in that area which had restricted water supply. Fernandes’ imaginary camera repeatedly spanned from the luxury of Rashtrapati Bhavan to the harsh realities of Bhendi Bazar and almost brought tears to many eyes. It was a campaign that would have made a better book than Theodore White’s ‘Making of The President’ series about the Presidential campaigns in the USA. And even today Congress relies solely on minority vote-bank politics. South Bombay had some very rich areas, as well as some Gujarati pockets, both believed to be pro-Patil. George Fernandes addressed several small meetings on terraces in those areas. His victory parade that night, with hundreds of affluent youth joining the labour whom Fernandes led as a trade unionist, was memorable. George, born in Karnataka, came to Bombay to join the trade union movement which was then led by another Mangalorean like him, who happened to be externed from the metropolis then. So he stayed in the Bombay Labour Union office. Others in the union found his stay, with many people coming to meet him, disturbing and threw him out after some days. So for a few days, he slept on the footpath on a newspaper till he could make alternate arrangements. During the campaign, I heard stories of how some young women, one of them a prominent writer, were enamoured of him. Yet he remained a bachelor till late, when he married Prof.Humayn Kabir’s daughter Leila and had a son. Being more of a performer than an original strategist, he did not make much mark in Parliament. When the non-Congress government came to power at the Centre, he was given Defence, Railway and Industries ministries at different times. It is tragic to see parties led by Dr. Lohia and George Fernandes – some born out of the Emergency which he opposed so strongly, now join hands with the Congress which they all fought – just to win elections and come to power – to be led by a dyngasty. No wonder Bihar Chief Minister Nitesh Kumar of Janata Dal (U) broke into tears speaking on George Fernandes’ death.